deliciously organized: excited for fall! 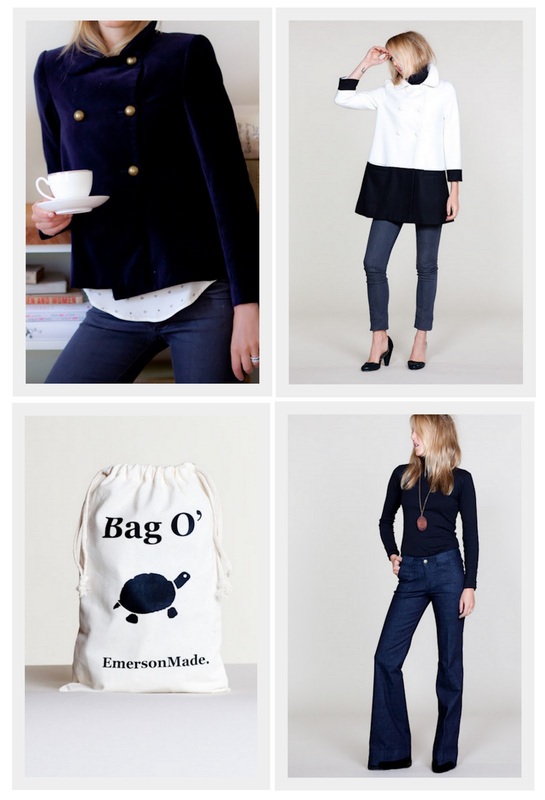 per usual, EmersonMade has put out some fabulous new items! although it's pretty much fall in SF now...I would still love to fill my wardrobe with these pieces. I'm obsessed with the new (to me at least) bag-o's which are cute bags filled with multiple colored basics. The turtleneck one would be perfect for fall! And that velvet jacket is number one on my wish list! will you purchase any new fall items this year? Love it all...their fall collection is so much fun! LOVE that jacket! Now, I'm off to go check out there stuff! I love that velvet jacket as well. I have her Camel Coat with hot pink lining on my wish list! LOVE the blog Carly!